Are you in the market for a new countertop? 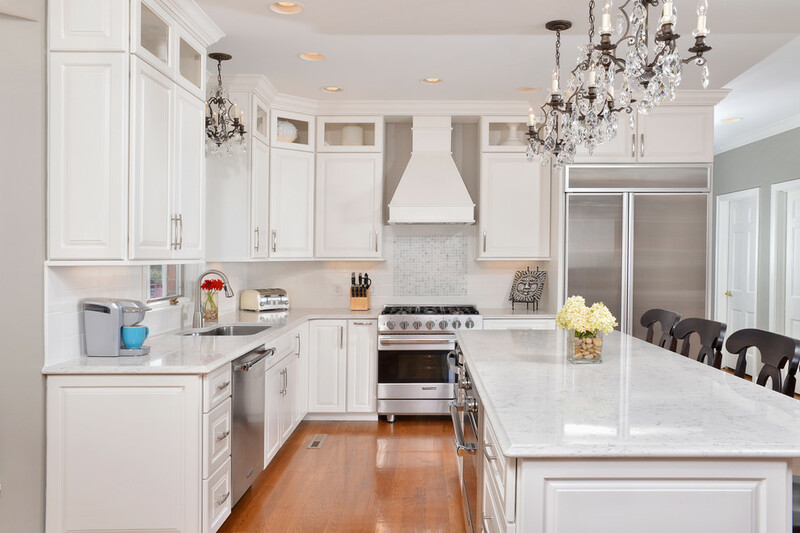 Have you taken a look at the quartz countertops that have become the latest rage in kitchen decor? 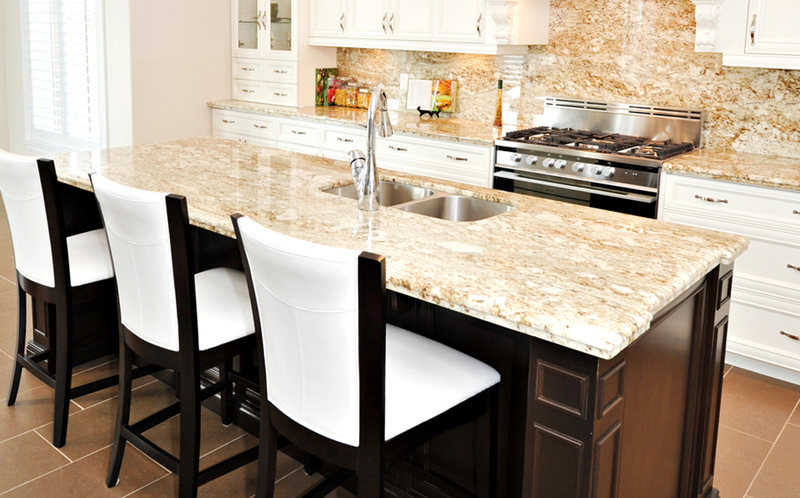 Quartz countertops not only are beautiful they are very durable and add stunning beauty to your kitchen. 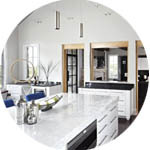 Laguna Kitchen and Bath carries a large selection of quartz countertops in Laguna Hills, Ca. 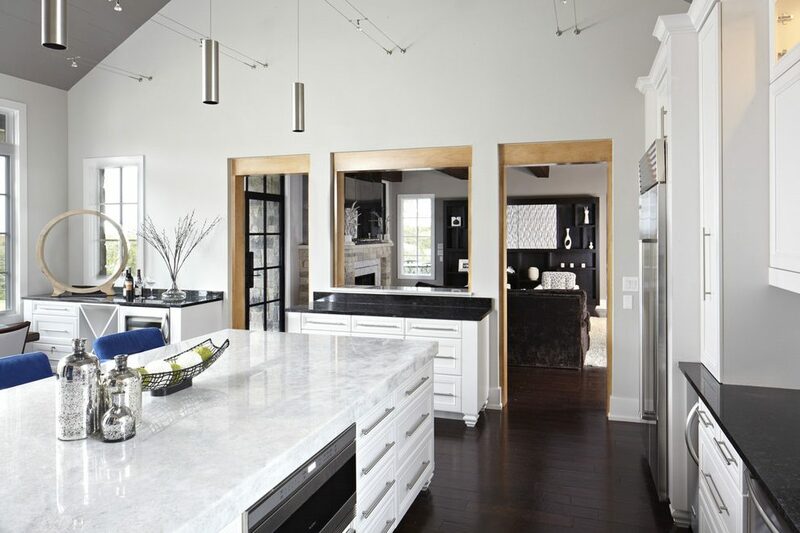 Quartz slabs are one of the earth’s strongest materials making it the perfect choice to adorn your kitchen. It’s a customizable and durable stone with an aesthetic look that simply can’t be matched by any other material. 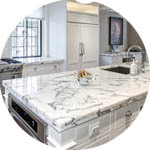 It begins as crystals in the earth that then undergo a specific process in order to become the beautiful countertop in your kitchen. It comes second in line for being the most commonly discovered mineral in the world and some of its varieties can be considered as semi-precious gems. It forms a hexagonal crystalline structure, which is the factor that makes it so hard and durable. This rock can be found in a variety of different colors with the most common being clear or white. 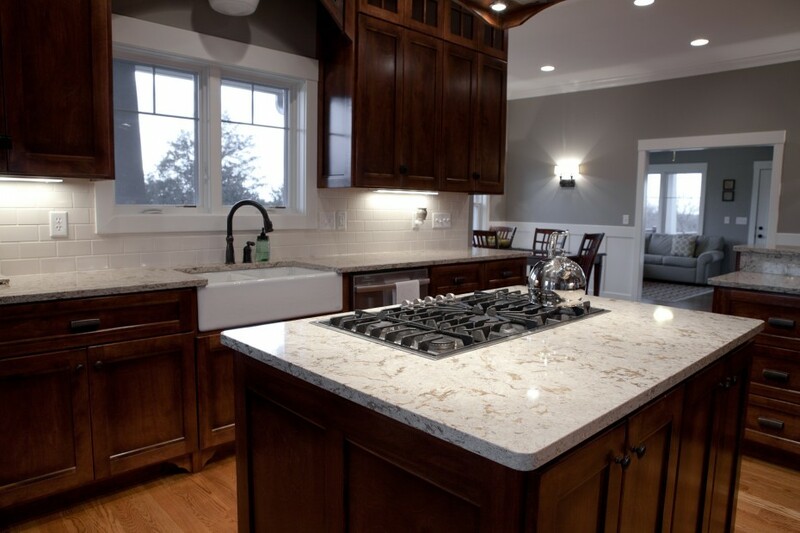 Most are made from approximately 93% crushed quartz and 7% polymers. This results in a work surface that is heat-resistant, stain-resistant, almost scratch-proof and basically maintenance-free. The added materials also allow for color transitions so that the counters can be made in basically any color under the rainbow. 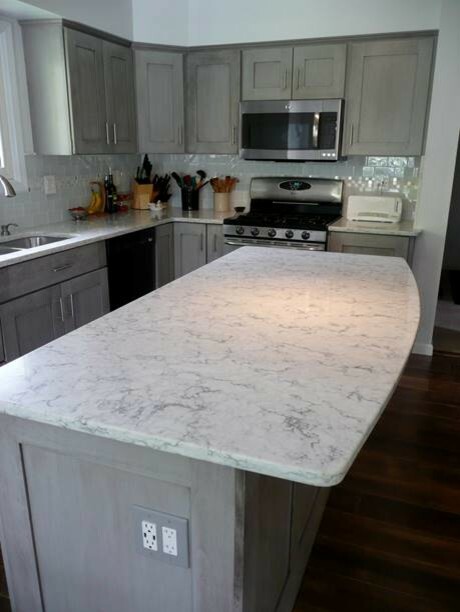 Quartz countertops are simply the best! It’s these color options that are the most exciting to homeowners. 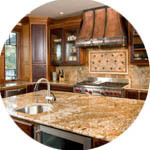 With granite, the color selection is limited to more earthy tones since it is a natural rock that comes straight from the earth. 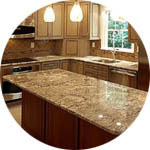 There is no material added to granite so there is no option to provide it in dramatic and exciting colors. 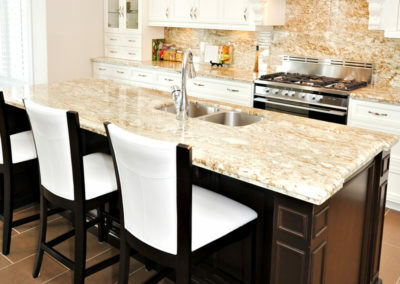 An engineered work surface can often be mistaken for one that is made of granite. They can be created to look just as organic as granite does but without the hassle of continual maintenance. 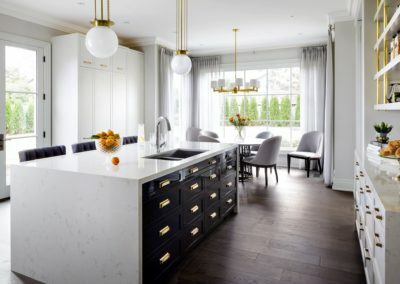 It has become a designer’s delight since it’s easy to work with, can flow with the rest of the kitchen and can turn any dull kitchen into a work of art immediately. Granite isn’t the only heavy hitter in town when it comes to countertops anymore! 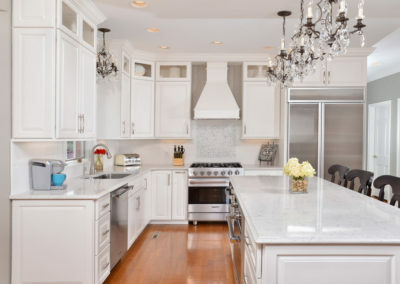 Quartz countertops have become a worthwhile opponent that provides its own list of countertop benefits.